A World War Two action movie centred on the development of the German rocket program and the Allied attempts to disrupt it, Operation Crossbow gets lost in Sophia Loren's expansive almond eyes and George Peppard's unconvincing antics. There are some good moments in the fictionalization of the strategic and scientific calculations behind the war over rocket technology, but the movie awkwardly oscillates between flight altitudes and ultimately lands a bit short. As Winston Churchill (Patrick Wymark) tasks his minister Duncan Sandys (Richard Johnson) with uncovering and disrupting the German rocket program, German scientists are attempting to finalize the design of a ramp-launched rocket bomb. Due to a design fault, the auto-pilot system cannot control the flight path, and the lives of several pilots are sacrificed before ace flyer Hannah Reitsch (Barbara Rütting) is able to pin-point the fault and the design is perfected. Although Sandys and his team eventually locate the German test sites, the British bombing raid is too late: rocket bombs soon start raining down on London. With aerial surveillance suggesting that the Germans are developing an even more powerful rocket, Sandys recruits multilingual agents with scientific backgrounds to infiltrate the ranks of German engineers. Curtis (Peppard), Henshaw (Tom Courtenay) and Bradley (Jeremy Kemp) are selected for the mission and assume the identities of supposedly dead German and Dutch engineers. But a muddle ensues after the men are dropped behind enemy lines. Henshaw is picked up by the police and Curtis tangles with Nora (Loren), the wife of the man he is impersonating. Curtis and Bradley eventually make it into the rocket factory. Vastly outnumbered and outgunned, they have to find a way to stop the rocket development program before a devastating weapon, termed the "New York" rocket due to its range, is perfected. Operation Crossbow gets off to a bright start, exploring the war rooms of an England desperate to uncover German military secrets while Germany is working hard to maintain a technological edge. Having the Germans speak in German is always a plus, and the film tantalizes by revealing weaknesses on both sides. The English are distracted by a pompous Professor Lindemann (Trevor Howard), who refuses to believe that the Germans can be anywhere near developing a functional rocket. Meanwhile, the Germans are struggling to identify and rectify a design flaw that is hampering progress. But then Operation Crossbow loses its way. The middle third of the movie slips into an almost comically miserable sequence of musical hotel rooms, Curtis and Henshaw trying to avoid capture while Sophia Loren drops in for a ridiculously under-written role. Producer Carlo Ponti secured a few scenes for Loren and gave her top billing for what amounts to a glorified cameo, all in the interest of improved marketing potential. In their scenes together, neither Peppard nor Loren appear to actually know why they are there, and instead of generating sparks, Loren's presence dissolves into embarrassment. The movie's climax at the secret German rocket facility reclaims some balance, but without finding either unusual intensity or bold realism. 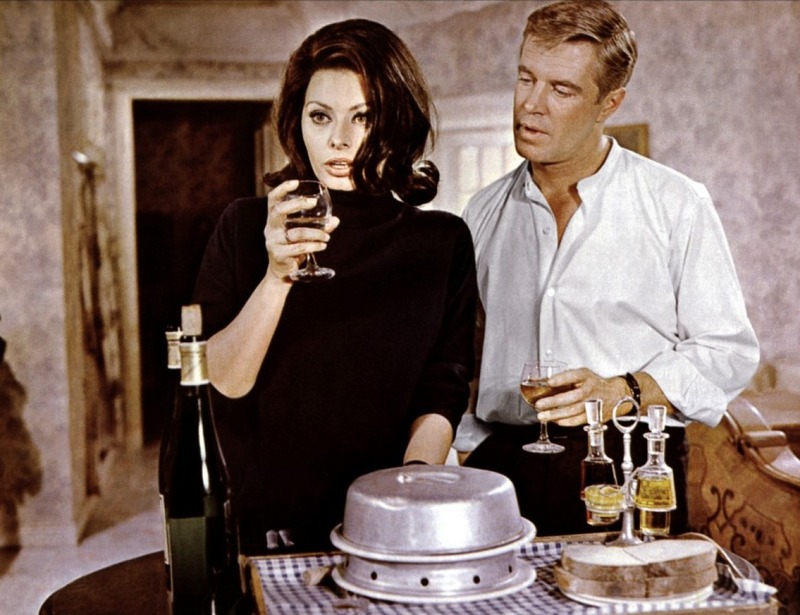 Peppard's performance is simply too shallow and underdeveloped to be convincing, as he is caught in the gap between a James Bond-type cocky light-heartedness and the required authenticity of a World War Two narrative inspired by real events. 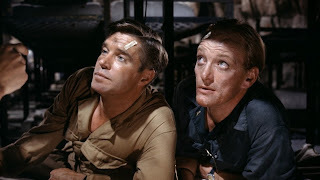 The supporting cast is a who's who of British and European character actors, the likes of Trevor Howard, John Mills, Anthony Quayle and Paul Henreid lending their authority to the minor roles. Director Michael Anderson enjoys the big explosions, but does little to develop the characters beyond the most basic profiling. Never entirely fizzling but also never quite soaring, Operation Crossbow flies in the right general direction but lacks the grace needed to accurately deliver its payload.